I’m sitting in a small square with my friend Mara and her teenage daughter, eating churros dipped in sugar, sipping cafe con leche. 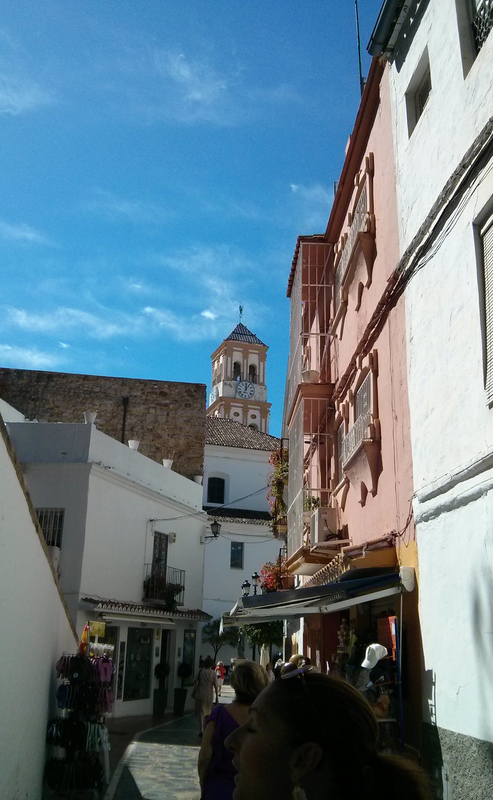 It’s Sunday in the old town of Marbella. All around us, Spanish couples and families are tucking into this sweet soul food, some dipping their churros in hot chocolate in the traditional way, others balancing their deep fried treat with a fresh orange juice. Next to us, a large family of 8 children, varying in ages between eighteen and three, with their parents and a silent North European nanny, are sharing several trays of churros, the older children chattily showing the younger ones how to enjoy churros without getting hopelessly covered in grease, sugar and chocolate. 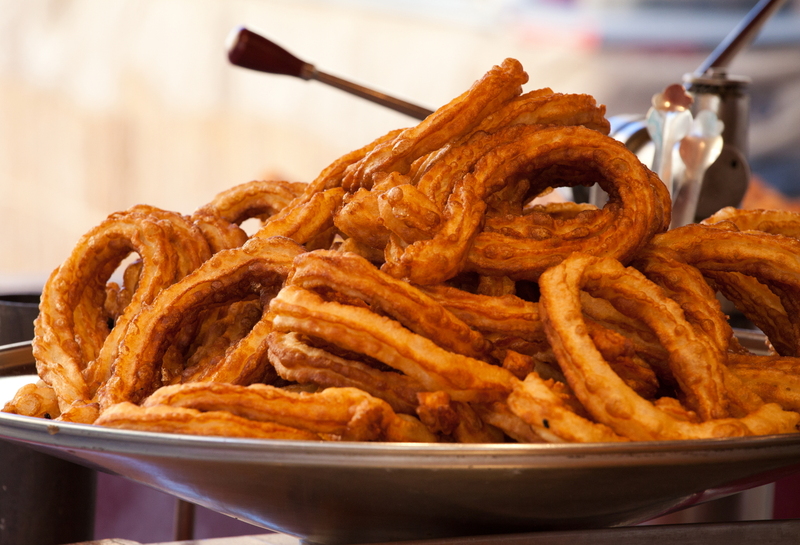 Sunday churros are a Spanish institution, as established here as the Sunday fry-up in England. 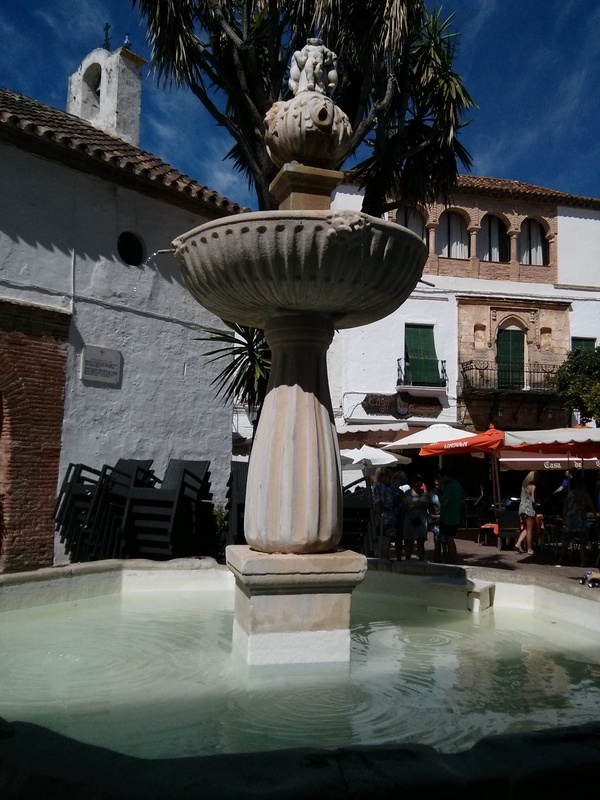 I’ve avoided Marbella in summer for years, disliking both large crowds and tasteless displays of wealth. I have no interest in golf either. But the old town, the casco antiguo, is another world, away from the tawdriness of Puerto Banus or the clipped nitrated golf courses. 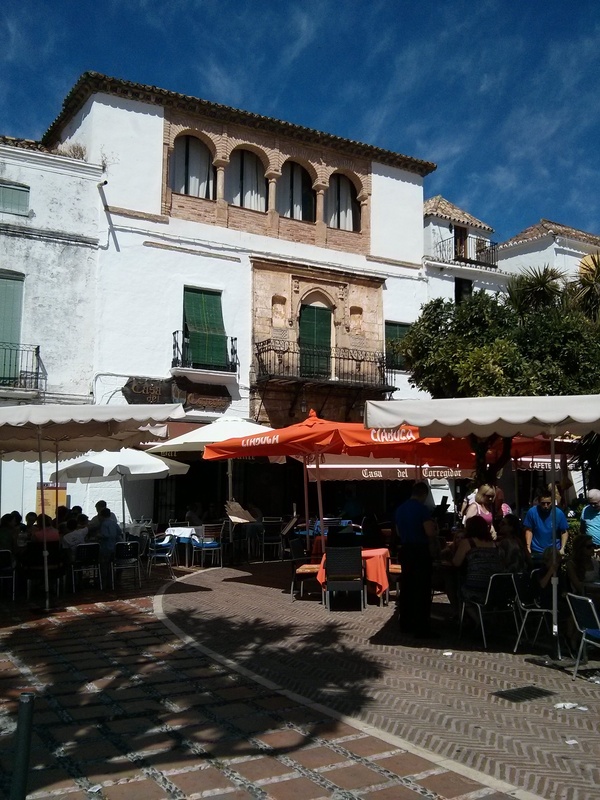 It is unmistakably Spanish, Andalusian, and wears its history with lighthearted pride. Far from having been the plain fishing village some people think it, Marbella seems to have been a commercial and tourist settlement from the time of the Phoenicians. 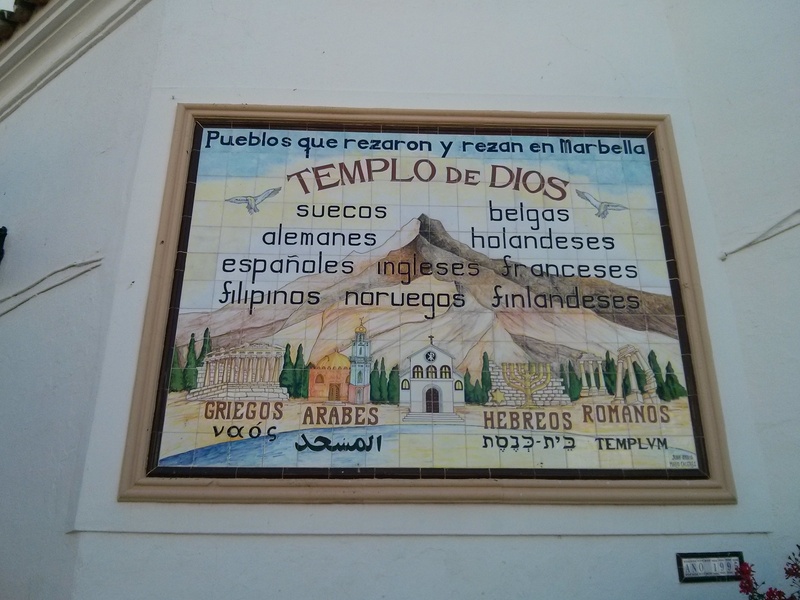 These restless travellers established trading posts and small colonies all along the Mediterranean coast in the 1600s BC, doing business with the local Iberians and, no doubt (as their Lebanese descendants do today), enjoying the sweetness of life in this Western Mediterranean haven, bringing a whiff of raffish adventure that never left Marbella. A few centuries later, and animated by the same spirit, Greek traders and mariners established commercial posts and a settlement. 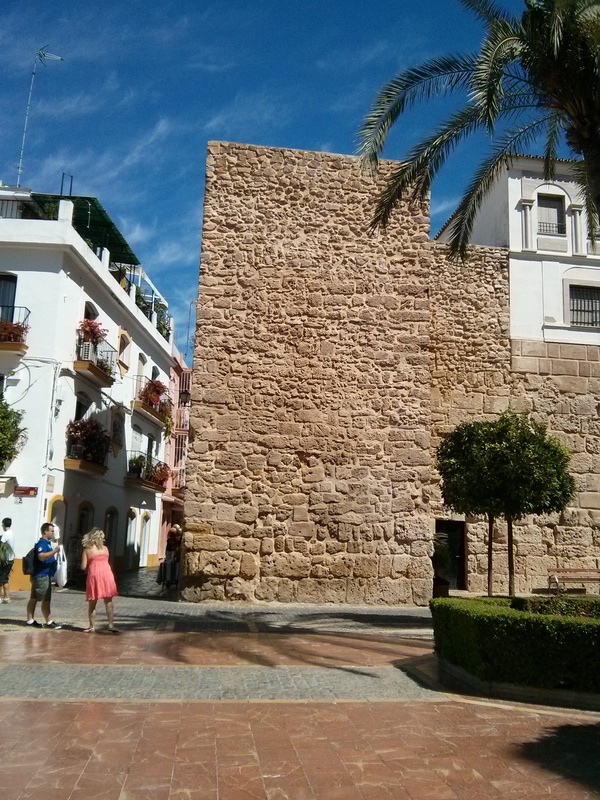 The Roman presence in Marbella is attested by parts of the later Moorish walls, which reused Roman engraved stone. 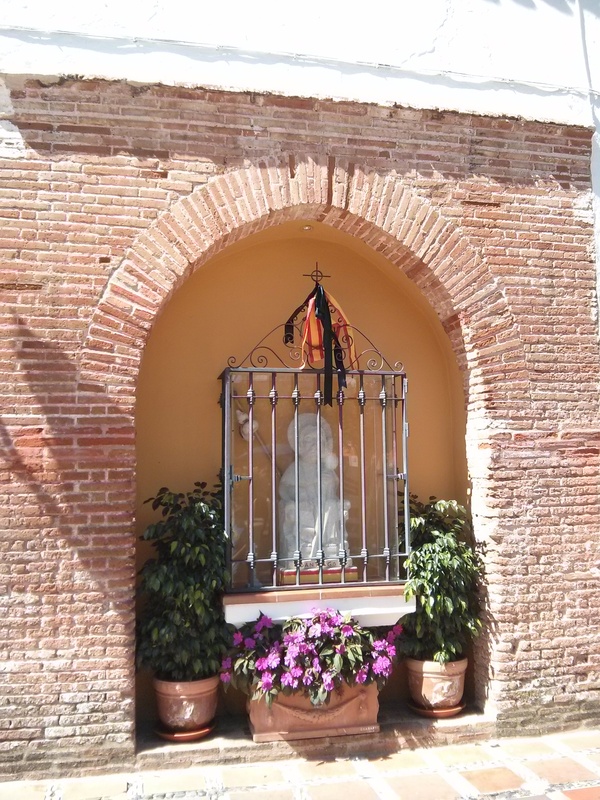 It is likely to have been a holiday and rest destination for the Romans in their rich Cordoba province. 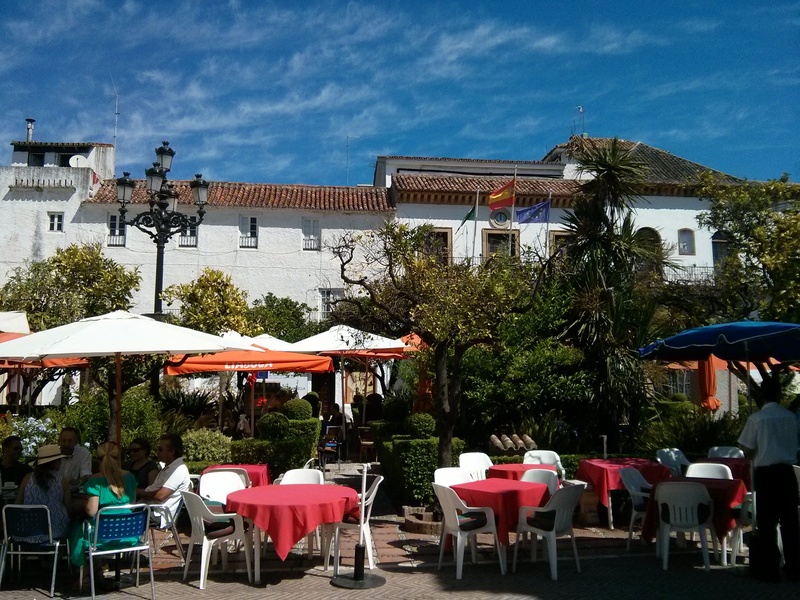 Marbella’s microclimate is surprisingly soft and temperate – cooler in summer than nearby towns, including other seaside towns, and warmer in winter than the rest of Western Andalusia. The Moors settled Marbella and fortified it against attacks from the sea, building an Alcazar and a mosque, which became a church after the conquest by the Catholic Kings, surrounded by a maze of narrow streets – those same narrow streets that Mara, Elisa and I are ambling along after our churros. 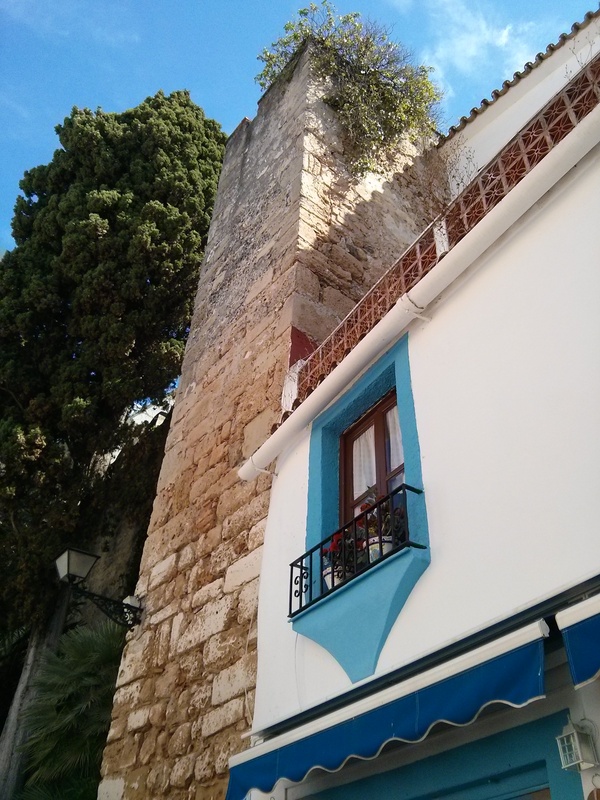 But it is the Castillans who brought Marbella old town its beauty. 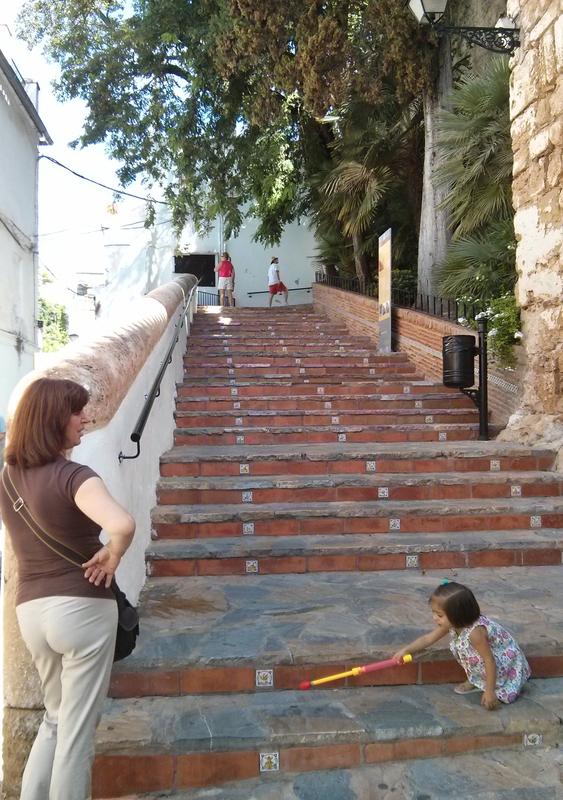 Knocking down some of the streets, they built the Plaza de los Naranjos, Orange-Tree Square, and the palace of the mayor, which is still the town hall of Marbella. They extended the network of streets up and down towards the sea, and building more and smaller squares and a handful of churches. 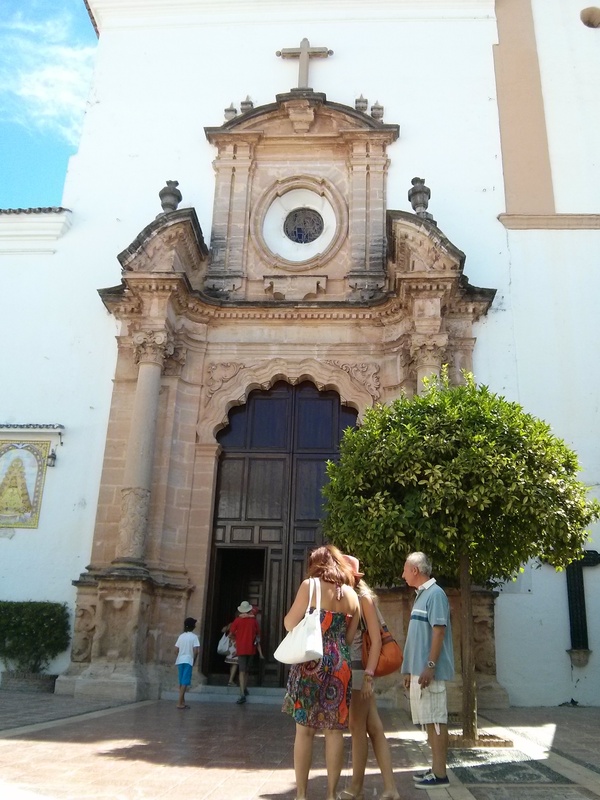 Unlike the gawdy baroque they inflicted on some other Andalusian cities, they transformed and expanded Marbella with a light touch, using a mix of mudejar and baroque styles, which marry seamlessly. It’s the Golden Age of Spain in summer dress, East and West blending, just as today, the Arab, Russian, Sefardi, Italian, British and Spanish residents or tourists mingle easily in the streets of the old town, along the paseo maritimo, in the yacht club, golf clubs, night-clubs and housing estates of this pretty courtesan of the Mediterranean. Then, as now, the streets were lined with shops, old-fashioned toy shops, clothes shops, small fruterías, glassware, tourist souvenirs. 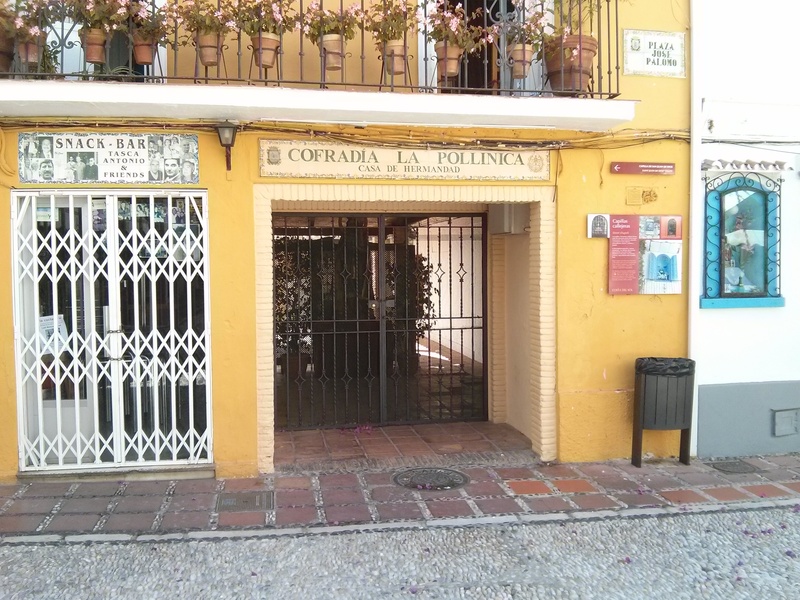 Unlike in most of Spain, even during August, many of these shops are open on a Sunday. People on holiday spend money and shopkeepers can’t afford to miss a day of trade during these days of economic stress. 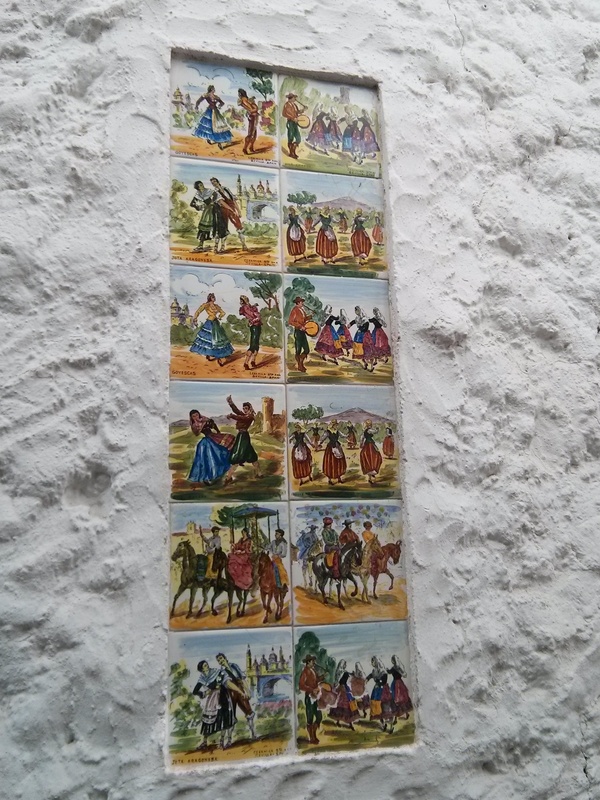 Azulejos on a wall, Old Marbella. 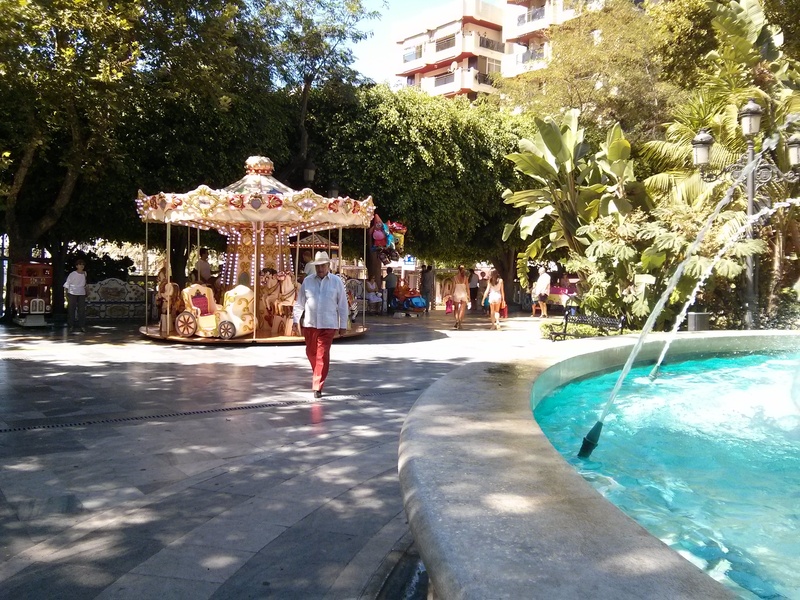 We walk down through La Alameda park to the sea-front and onto the paseo maritimo, the belvedere than runs along the whole of the Marbellan coast all the way to Puerto Banus, kilometres of walking, running and cycling. 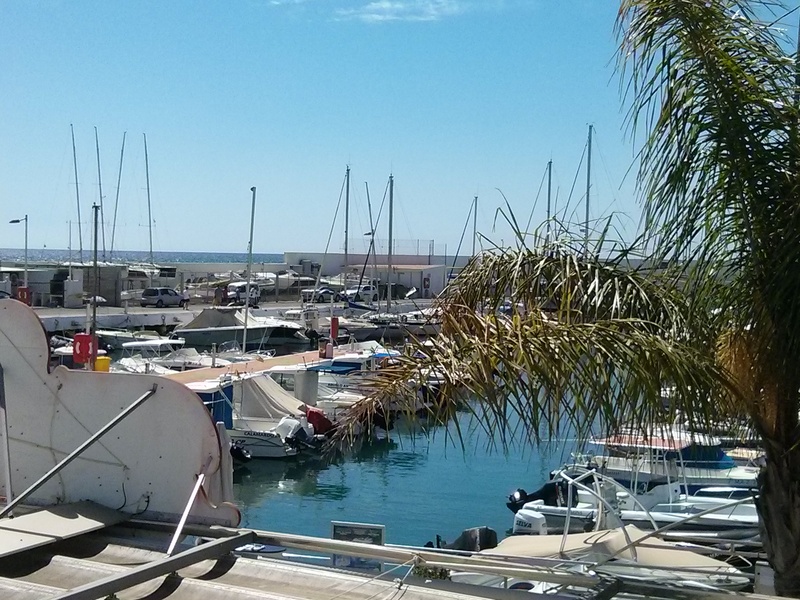 I stop by the yacht club and a small marina. 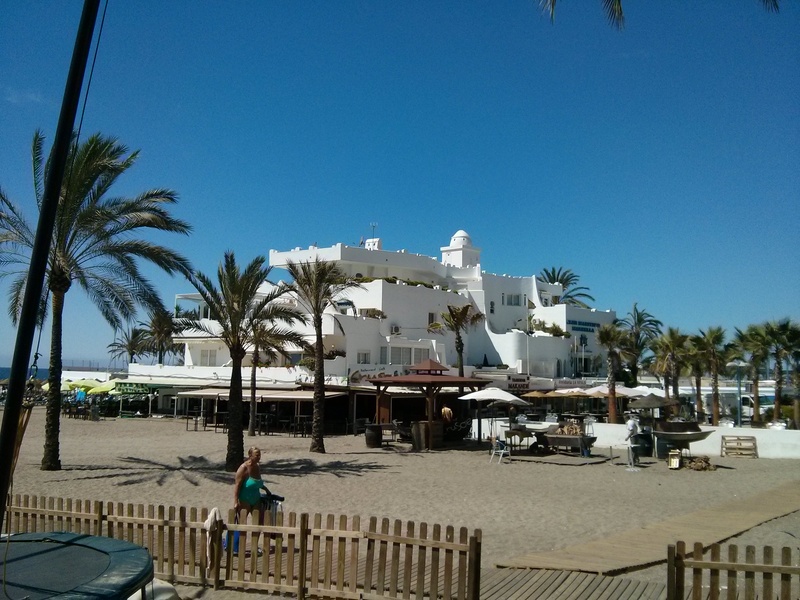 Here, none of the vulgar and bunker-like floating gin palaces of Puerto Banus, but sail-boats, small motor boats, boats for pleasure and family and friendship, boats for forgetting worries and tacking into the wind, churros boats, quintessential Marbellíes. 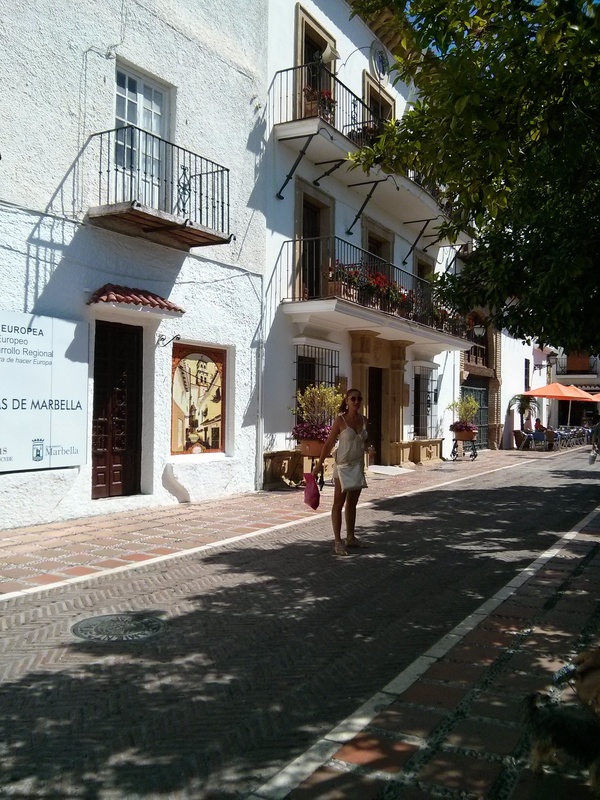 Marbella is a bubble in crisis-hit Spain. Though it amply participated in the making of the crisis – enthusiastic and overstretched construction and a hopelessly corrupt elected body in the 2000s, many of whom ended up in jail – and though it undoubtedly took a hit, it does not seem to be suffering much of its consequences when compared with the rest of Andalusia, where half the people are unemployed, or even with the rest of Spain. It remains popular with foreigners and those Spaniards who can still afford holidays and it continues to attract new residents from all over Europe and beyond, a little world of its own, a treat of a city like a dish of churros, sweet and naughty, of no nutritional value but enjoyable and protected because everybody loves it. 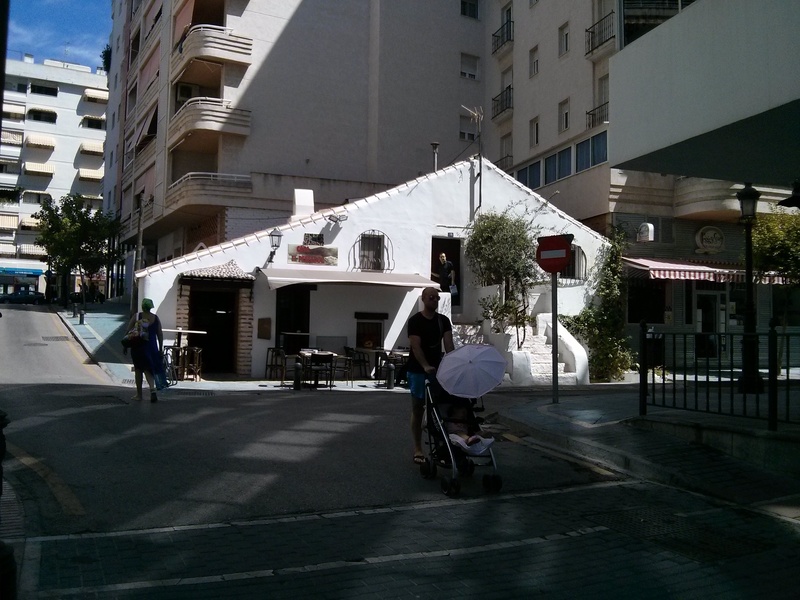 16th-century fisherman’s house, now a restaurant. Now all I want is some Churros! I so understand you! I make myself not eat them except on Sundays. 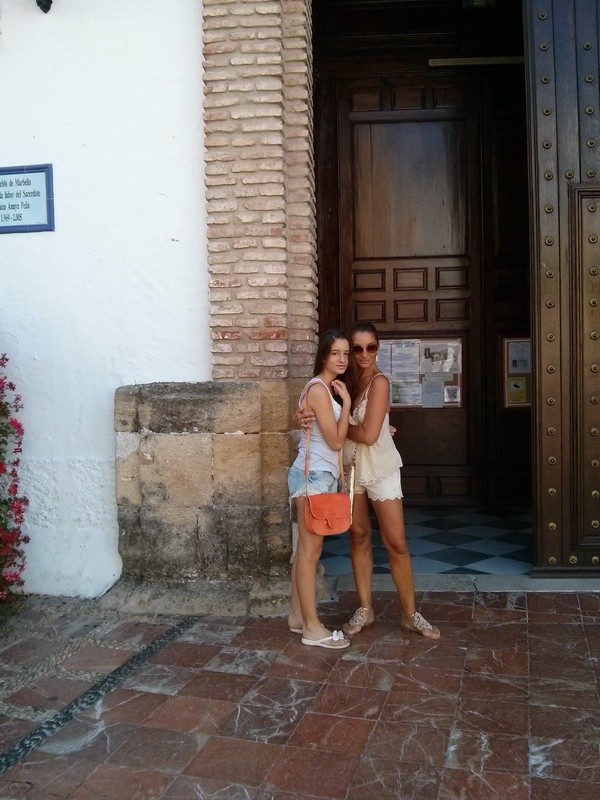 Sophie, I loved this post on Spain. It pulls on my heartstrings. 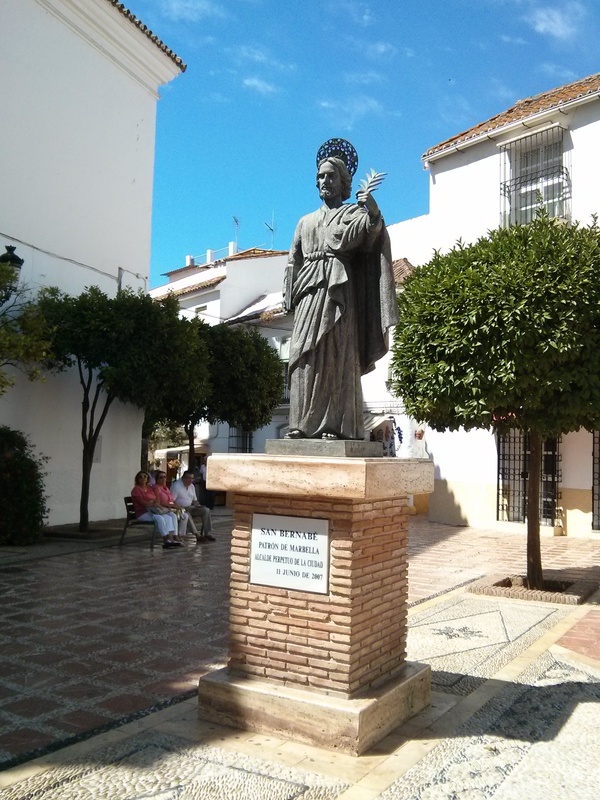 I lived in Sevilla for a year and recently had a chat with an old friend today from Cadiz. Southern Spain is truly a magical place. Way to capture its essence! Thank you! 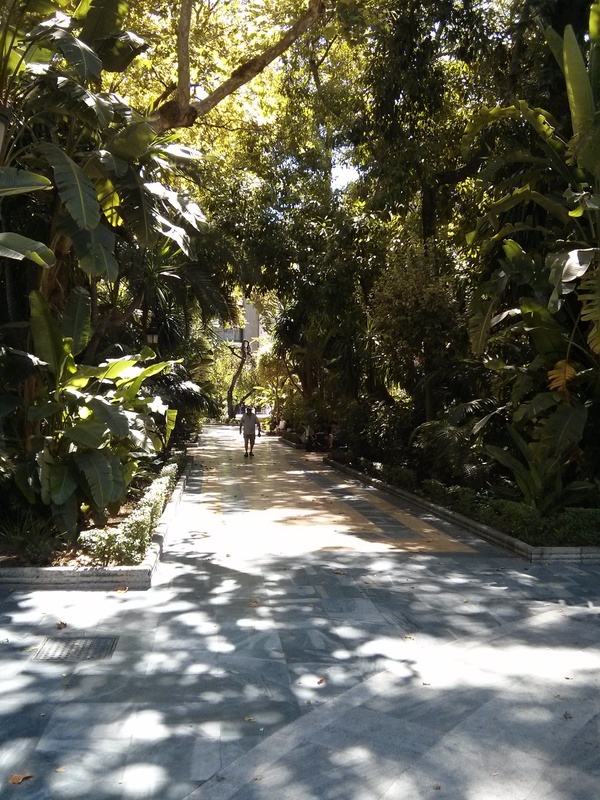 Seville is such a gorgeous city, with such a spirit…Probably my favourite city in Andalucía, and that’s saying much because I live near Granada and love it. I’m not surprised you’re nostalgic about Southern Spain. It creeps under your skin, doesn’t it?